Film producer Irving Thalberg, who launched countless successful movie careers and helped to shape the movie industry as we know it today, was born on the 30th of May, 1899 in Brooklyn, New York, to German immigrant parents. Diagnosed with blue baby syndrome, the infant Irving Thalberg received a poor prognosis; his family doctor was the first to declare that he would not live past the age of thirty, if indeed he reached it at all. His poor physical health manifested itself in high school as chest pains and fatigue, and culminated in his contracting rheumatic fever at the age of seventeen and being bed bound for a year. Wary of his falling behind with his schoolwork, his mother arranged for his education to continue through his convalescence, and although young Irving lacked the strength to pursue studies at college, he had become an avid reader and devoured works of philosophy. It was at this point that Irving Thalberg took his first step into the world of moviemaking, finding a role as a secretary at Universal Studios. Quickly working his way through the ranks, he became personal secretary to studio head Carl Laemmle, who was impressed with the young man’s insightful observations on ongoing projects. 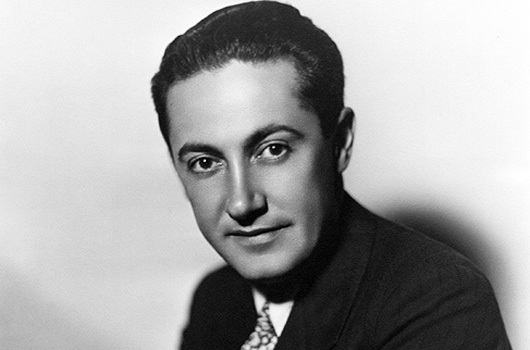 Installed in the role of studio manager – a position created for him – Irving Thalberg was left to oversee the studio’s Los Angeles operations. Despite his youth, diminutive stature and physical frailty, it soon became clear that Thalberg had the business skills and personal charm to make a real difference to Universal. Undaunted by his relative lack of experience and unwilling to be cowed by the egos around him, he ran the studio as a professional, profit-making enterprise, yet without stifling artistic development. His well-chronicled confrontation with director Erich von Stroheim – culminating in his firing the famed Austrian – made waves not just at Universal, but in the industry as a whole, setting the precedent whereby directors were no longer able to ride roughshod over a studio’s bottom line. Indeed, far from being a joke, Irving Thalberg’s youth became a source of amazement across Hollywood; never before had one so young been so obviously capable of achieving great things. During his three years at Universal, Irving Thalberg was involved in the production of over a hundred films, and turned the studio into a powerhouse. His extraordinary capacity for seeing the potential in a story, a production or a performer launched the careers of many of the biggest names of the time. Horror stars such as Lon Chaney (whose performance in the 1923 production of The Hunchback of Notre Dame was overseen by Thalberg) and Lionel Barrymore owed a great deal of their success to Universal’s “boy wonder”. In addition, he worked to retain big-name stars by skilfully negotiating attractive contracts, thus ensuring quality output from the Universal stable. Looking to broaden his horizons, Irving Thalberg left Universal (as well as Carl Laemmle’s daughter Rosabelle, with whom he had enjoyed a brief romance) to take on the role of vice president in charge of production at Louis B Mayer Productions. At the age of 24, he was involved in the merger of Mayer’s company with two others, and became part-owner of the new Metro-Goldwyn-Mayer studio. The combination of Mayer’s business acumen and Thalberg’s natural skill at running a studio meant that MGM would become the most successful studio in Hollywood. Throughout the golden age of moviemaking, Irving Thalberg’s skills and growing experience transformed the industry. His ability to combine high production values with empathic storytelling, and to nurture star quality overlooked by others, shaped careers for the likes of Joan Crawford, Greta Garbo and Clark Gable. Ideas now familiar in the movie industry, such as re-shooting scenes and gaining feedback from test audiences so as to improve a work in progress, found their genesis in his production methods. 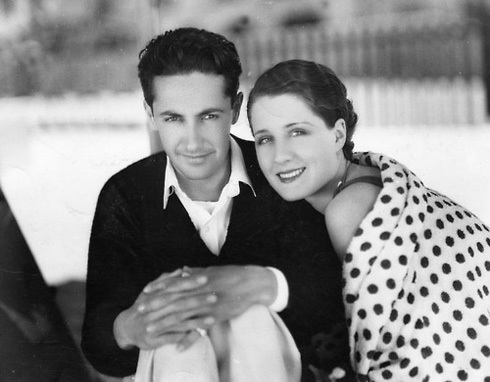 In 1927 Irving Thalberg married actress Norma Shearer; the couple went on to have two children, and although Mrs Thalberg considered leaving the acting profession behind, her husband encouraged the furtherance of her career. She would later develop into one of MGM’s biggest stars of the 1930s. In the same year, Irving Thalberg was involved in the creation of a set of guidelines designed to bring respectability to an entertainment industry dogged by controversy and accusations of moral decrepitude. These guidelines would turn into the Production Code that all studios would follow for decades to come. Sadly, the health issues of his early life had not abated, and at the age of twenty-five Irving Thalberg suffered a major heart attack due to overwork. His relationship with Louis B Mayer had become strained, and on his return to work he found that Mayer had taken the opportunity to replace him. Thalberg’s role was vastly reduced, but he still held great sway at the studio, and masterminded some of MGM’s most prestigious movies, such as Grand Hotel (1932) and Mutiny on the Bounty (1935). Irving Thalberg died of pneumonia on the 14th of September, 1936, aged just 37. The news of his death sent shockwaves through Hollywood, and MGM closed completely on the day of his funeral, which producer Sam Goldwyn was too upset to attend. Thalberg’s legacy has been described as “incalculable”, introducing ideas and processes which are now everyday parts of the industry. His vision, insight and determination all helped to create the Hollywood we know today.